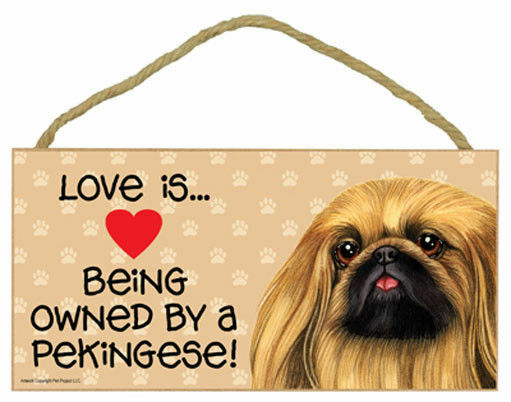 WOODEN PEKINGESE SIGN Adorable 10" wide x 5" high sign with rope attached to the back as an attractive way to hang the plaque. Great gift for those that love to spoil their furbabies. Made of durable MDF fiberboard. Hanger is 1/4" jute cord securely fastened to the back. This sign is Made in the USA!! !